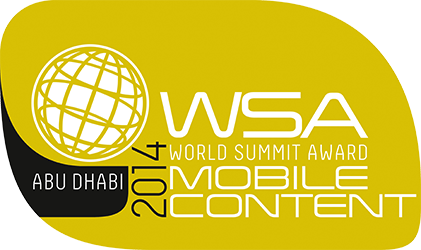 Christelle Scharff, one of the organizers of MobileSenegal Hub, was nominated as the WSA expert for Senegal. Involved in the mobile ecosystem in Senegal since 2008, “I’m honored to be following in Alex Corenthin’s footsteps and have the opportunity to evaluate the best mobile apps from Senegalese developers,” she said. Actors of the ecosystem were contacted through the Mobile Monday Dakar and Mobile Innovations Dakar Meetup groups (around 800 people). The tech communities were asked to publicize the contest. 23 submissions were received. The apps were of particularly good quality and most of them were submitted by established companies, NGO and professionals. Local content is crucial in apps targeting Senegal, the diaspora and beyond and we got apps with content related to local news, music, business and health. The quality of the apps shows that Senegal is becoming a vibrant region in mobile development. Each submission was thoroughly reviewed. Detailed feedback was provided to each app as this was important to encourage participants to improve and continue to build on their work. MobileSenegal are Mobile Monday Dakar are planning an event to showcase some of the submitted apps in the summer. After careful consideration, the following apps were selected to represent Senegal for WSA-mobile. Please join us in congratulating them for their success and wish them the best of luck in the global and African Content Award competitions! Don’t forget to download and rate the apps! Note: WSA-mobile and MobileSenegal Hub are not responsible for copyright violation in any application. All participants signed a waiver that they own the rights to all content and material contained in the applications.